The Self-Evolution Flags are a collection of hand-painted customizable works of art that have an empowering message; by tapping into your inherent creativity (and we are ALL creative) you can find inner joy and peace. Expressing your unique creativity might involve spending time in your garden, making a special meal, or connecting like-minded friends to one another. 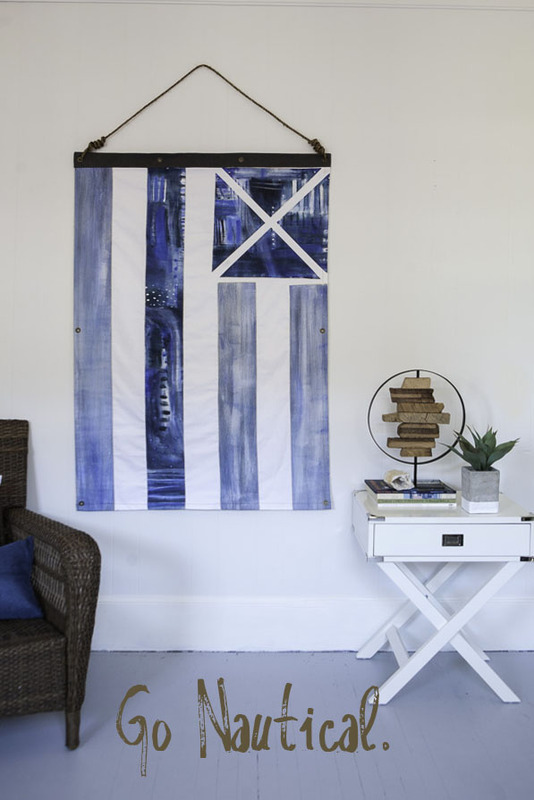 My intention is that the flags serve not only as large wall tapestries that bring a fresh and contemporary vibe to your space, but they also serve as a gentle reminder to indulge in and share your unique creative gifts. 3 Ways to Display your Flag. 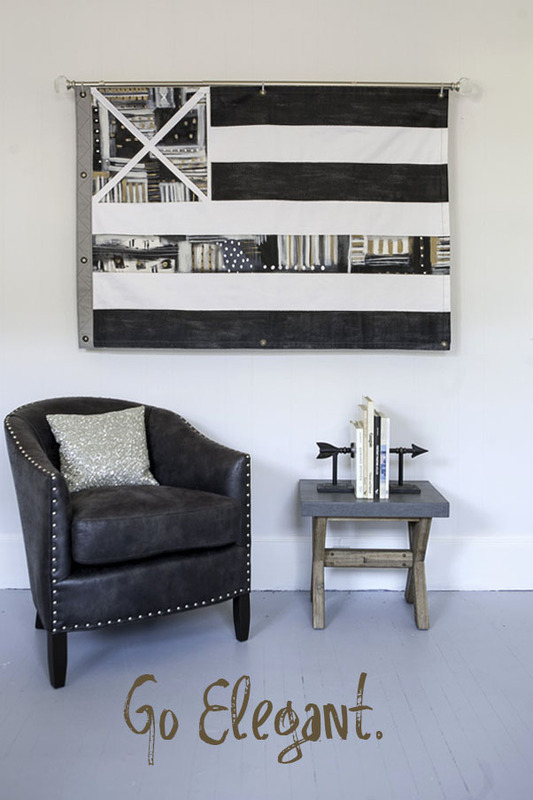 Hang horizontally or vertically, but treat the flags as you would any fine art. Hang on an interior wall. *Not for outdoor use. Go Simple. Place a black screw through both top corner grommets and call it a day. Go Nautical. Tie a rope thru both top corner grommets and anchor the rope with a screw at the top to form a triangle. Go Elegant. Get a cool drapery rod and then tie some ribbon, rope, or chain through all of the top grommets. Did you know you can customize your own flag? It's is fun and easy and doesn't cost extra. Did you know that these are original one-of-a-kind paintings? My flags are not reproductions of paintings, nor did I source pre-made fabric and sew them together. All of the colors you see (solid stripes and abstract art) are hand-painted, then appliqued onto a white canvas background. So each flag is a true work of art, made with love and creativity. After I complete the large abstract painting, I remove it from the stretcher bars and rip it up into stripes and corner triangles. I then make a second painting with 2 solid colored stripes to compliment the abstract painting. When all of the pieces are ready, I have my professional sewer put it all together. Do you have a question or special request?